Jerry Hansen is a Partner based in FRA’s Dallas, Texas office. He has over 25 years of experience in accounting and forensic services including mergers and acquisition disputes, audit/accounting malpractice litigation, forensic due diligence, compliance monitorships and fraud investigations. Jerry has provided forensic, dispute and audit related services to clients in a wide range of industries including real estate, technology, energy, transportation, manufacturing, software, food services, publishing, automotive, healthcare, retail, staffing services, advertising, professional services and financial services. His expertise includes serving as an expert or neutral arbitrator in resolving post-closing purchase price dispute arbitrations, providing expert and consulting services in audit and accounting malpractice matters involving the application of GAAP and GAAS, conducting all manner of forensic investigations, and providing forensic due diligence services related to FCPA and UK Bribery Act risks. His industry experience includes software revenue recognition, mortgage banking, insurance claims and real estate. During his career Jerry has served at a Big 4 public accounting firm, a multinational consultancy, as well as global corporations. Prior to joining FRA in 2017, Jerry was a Managing Director at BRG where his practice focused on assisting global companies with cross-border transaction disputes and assisting Big 4 and regional accounting firms with malpractice litigation matters. 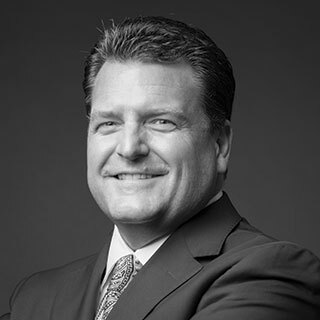 Previously, Jerry was the Southwest Region leader of Ernst & Young’s Transaction Forensics practice, a specialty practice that focused on disputes, investigations and forensic due diligence services related to merger and acquisition transactions. While at EY, Jerry also participated in investigations of some of the most well-known and publicized fraud and Ponzi scheme matters. Jerry is a CPA, licensed in Texas and California. He is the co-author of the book M&A Disputes – A Professional Guide to Accounting Arbitrations (Wiley 2017), a contributing author to three additional books: The Litigation Services Handbook, and The Guide to Investigating Business Fraud., and The Guide to M&A Arbitration, as well as other articles and publications. He holds a BBA in Finance from Southern Methodist University and an MS in Accounting from the University of Virginia.